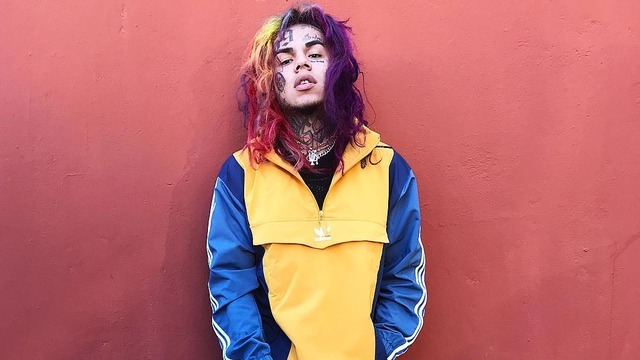 Tekashi69 has been making headlines in the hip-hop community ever since video surfaced of his debut single, “Gummo.” The rainbow haired artist is hard not to notice, with a hostile attitude and coarse voice. No stranger to controversy, the 21-year-old Brooklyn rapper has been involved in many verbal and physical disputes over the past few weeks, drawing much attention to his aggressive personality and first album release. The album in total runs 27 minutes long and contains constant head-banging verses from start to finish. With rude and often violent lyrics on display, the album is well suited for a gym or party playlist. Certainly not ideal study or relaxation music to put it lightly. Much of the violent nature on display correlates to retaliation for his many enemy’s disrespect or trash-talking. The graphic detail that is depicted in Tekashi69’s words throughout the album represent insight into his unapologetic and deviant nature. While his album sale expectations exceed 60,000 copies in the first week, many are choosing to focus on his gang-affiliated feuds and social media antics. As of late, gang members in both Los Angeles, Calif. and San Antonio, Texas have publicly forbid Tekaskhi69 from visiting their territory. Despite the threats, the New York rapper visited both cities, documenting his trips, and even performing in San Antonio. The courageous decision by Tekashi69 did not come without retaliation. While trying to depart from LAX airport in Los Angeles, the rap sensation was captured on video in a physical altercation by TMZ. Quick to respond, Tekashi69 insisted that the fight had nothing to do with the recent gang warnings. Most recently, Tekashi69 uploaded a promotional snippet of his soon to be released music video “BILLY,” with the caption that says, “I don’t lie when I say I’m the king of New York.” The statement immediately sparked chatter in hip-hop culture with internet personality DJ Akademiks comparing Tekashi69 to other popular New York artists and highlighting that having the spotlight on oneself as an artist can cause trouble.